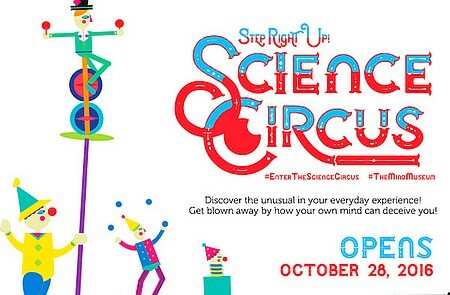 Science Circus: Step Right Up! is the latest traveling exhibition of The Mind Museum, kicking on October 28. This exciting shwocase explores the amusing, the peculiar, and the extraordinary in our everyday experiences in the form of interactive exhibits that deceive the senses and boggle the mind. There are three "Circus Rings" with different themes: Deception Perception, Pieces of Incredible Engineering, and Encounters with the Masters. Passes are priced at P200 (P750 includes a three-hour tour of the Museum). For inquiries, call 909-6463 or e-mail inquiry@themindmuseum.org?.